These letters are often all that get me through week to week. Even if it’s just random stuff, nothing important, they’re important to me. Gramps is great, and I love working on the ranch. I feel disconnected, like I’m no one, like I don’t belong anywhere. Like I’m just here until something else happens. I don’t even know what I want with my future. But your letters, they make me feel connected to something, to someone. I had a crush on you, when we first met. I thought you were beautiful. So beautiful. It was hard to think of anything else. Then camp ended and we never got together, and now all I have of you is these letters. I just told you I have a crush on you. HAD. Had a crush. Not sure what is anymore. A letter-crush? A literary love? That’s stupid. Sorry. I just have this rule with myself that I never throw away what I write and I always send it, so hopefully this doesn’t weird you out too much. I had a dream about you too. Same kind of thing. Us, in the darkness, together. And it was like you said, a memory turned into a dream, but a memory of something that’s never happened, but in the dream it felt so real, and it was more, I don’t even know, more RIGHT than anything I’ve ever felt, in life or in dreams. I wonder what it means that we both had the same dream about each other. Maybe nothing, maybe everything. You tell me. 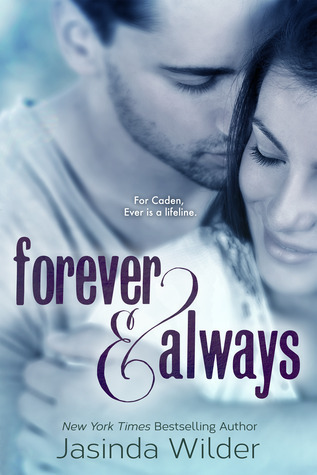 Forever & Always was an interesting read. It is the first in the series, followed by two others. it tells the slow love story of Ever and Cade, who meet at a camp when they are young and become pen pals. 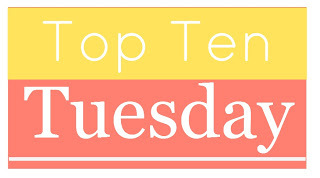 Over the course of the novel, they write about their daily lives and begin to fall in love. It isn’t until they are in college, close by each other, that they can begin to fall in love in real life. I found it an interesting way to get two characters to really know each other. In an age where teens, and young adults, are texting, face-timing, have numerous ways to contact each other, the author choose an old way for these characters to fall in love. The author also choose to write from both Ever and Cade’s POV so we can see more of their lives than what they are just writing to each other. And let me tell you, their lives are far from easy going. Each has struggles that would be difficult for anyone to handle, but for people so young it’s even harder. Cade and Ever are forced to mature at a much younger age. And its great to see how these two communicate about everything back and forth. They find that they can say things that they wouldn’t necessarily say face to face, or even over text. There is no judgement, only understanding. This allows their love for each other to grow slowly, understanding where each other is coming from, and knowing from the start, what their secrets are- what makes them happy, what hurts them. Being a pen pal allows for a truth to build between them. When Cade and Ever do finally come together it’s an explosion. Because they’ve been apart for so long and in love with each other for so long, that awkward “start” to a relationship isn’t there. It’s exciting But it’s also challenging. They have to learn how to speak, using their voices, not their pens. And it causes tension between the two. The ending of this book is climactic to the max. I didn’t see it coming and it will make you rush to read the next book. it really is a great, slow-burn love story between to characters who truly grow to love and understand each other. 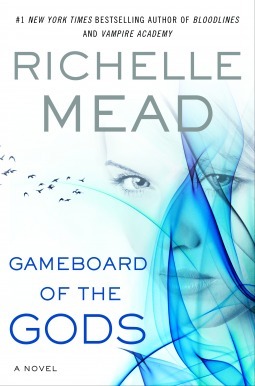 I was approved to read Gameboard of the Gods, the first book in Richelle Mead’s new adult series Age of X. Excepted publication of the book will be Jun 4th, 2013. Depending on what Penguin/Dutton tell me, I will post a review of the book if they approve it. A/N: I’m really excited to read this book!